With Wednesday practice cut short and Thursday’s cancelled altogether, riders were itching to get out on Friday in near perfect conditions. Just a couple of damp patches were reported at Ramsey Hairpin, Cronk ny Mona and Bedstead but that didn’t stop Hutchinson, who upped the ante with a time of 129.583mph on his Superstock machine after a moment on the Superbike saw him pull up at Governor’s dip. Bruce Anstey also upped the wick on the Padgetts RC213V-S to join Hutchinson in the 129mph bracket with a 129.212mph lap. Michael Rutter set the third quickest time of the evening on his Superstock machine, ahead of the Bennetts Suzuki of Michael Dunlop, who continues to get to grips with the GSX-R1000. 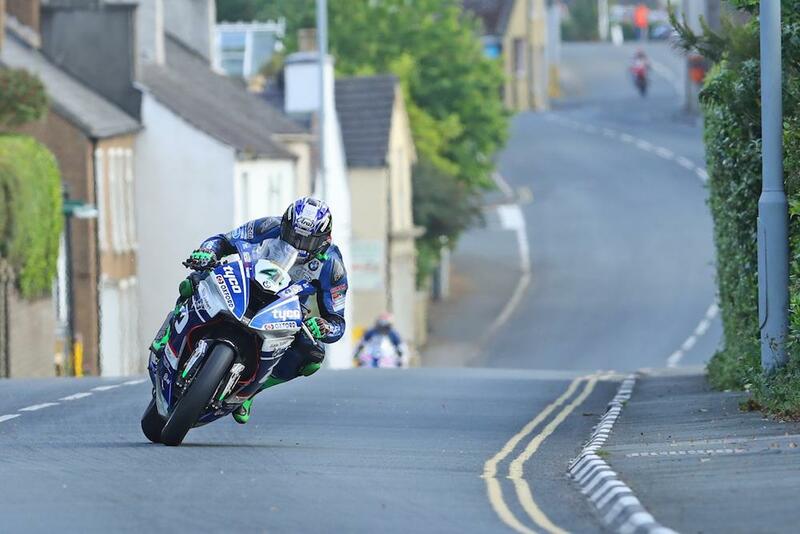 Dean Harrison laid down a marker in the Supersport class with a time of 124.353mph, some nine seconds quicker than Michael Dunlop who clocked a time of 123.325mph. Hutchinson was third quickest for McAMS Yamaha. Dafabet Devitt Kawasaki's Steve Mercer was a faller at the 11th milestone, he was taken to Noble's hospital by air ambulance with minor injuries and reported to be conscious at the scene. Stefano Bonetti led the way in the Lightweight class with a time of 115.694mph ahead of Peter Hickman and James Cowton. Pick up a copy of our special edition McGuinness: Ordinary bloke. Extraordinary Racer. This special from MCN, celebrates the career of one of the sport's best-loved road racers. Affectionately known as McPint, John's career has wowed and entertained bike racing fans for more than 20 years. Buy it here.